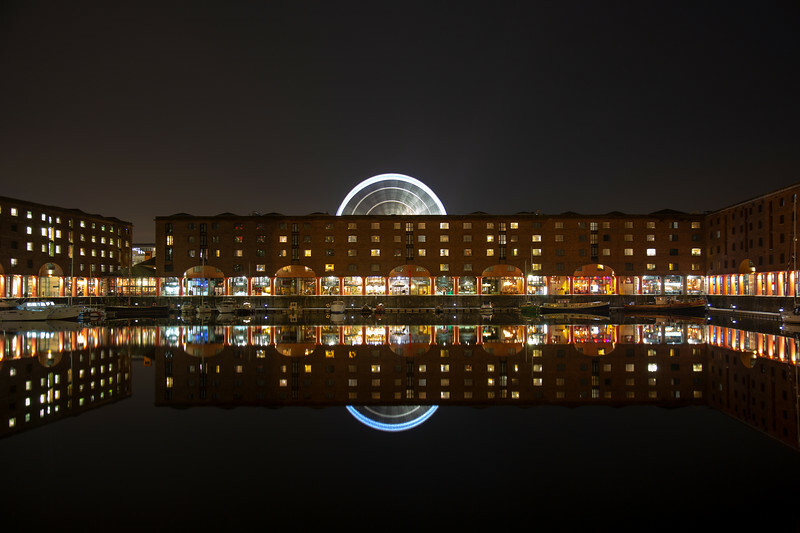 The docks reflected at night including the Liverpool Wheel. The Albert Dock is a complex of dock buildings and warehouses in Liverpool that open in 1846. The former hydraulic pumping station at Hartley Quay on the east side of Canning Dock dates from the 1870s and has been restored as a pub/restaurant. 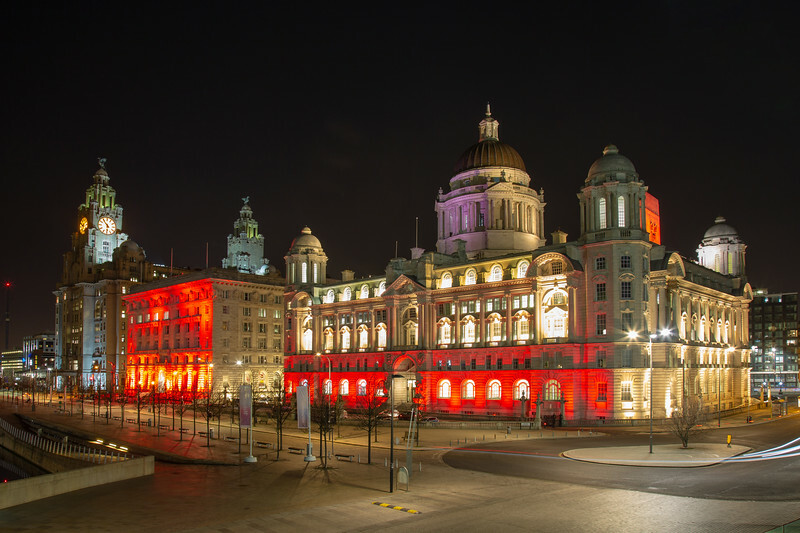 The Three Graces on Liverpool water front lit up at night. Photo taken from Albert Dock looking across to the Three Graces, also a couple of tall ships and the tug boat "Brocklebank". 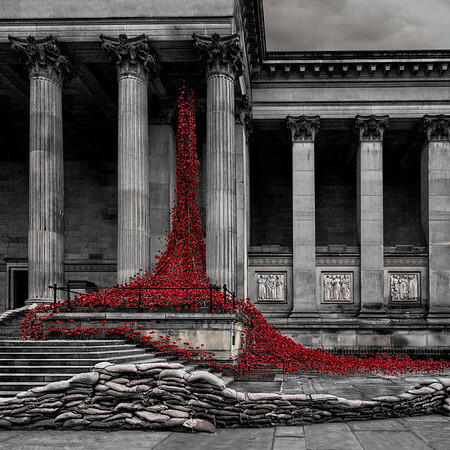 Another Place consists of 100 cast-iron, life-size figures spread out along three kilometres of the foreshore, stretching almost one kilometre out to sea. 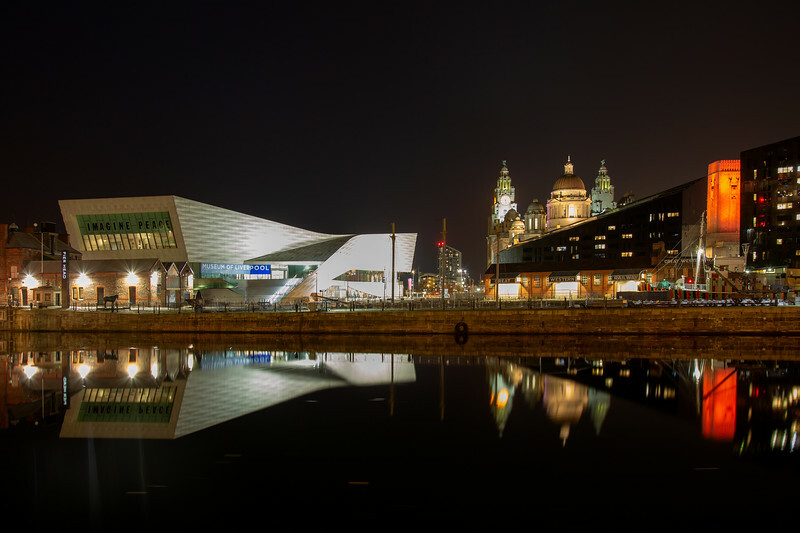 The Liverpool Museum and the three graces reflected in calm waters of the Liverpool dock system. 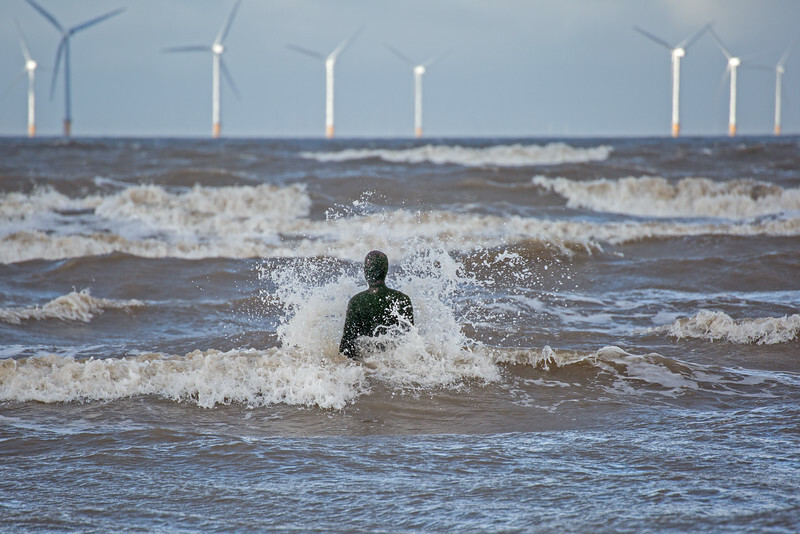 Another Place in Crosby, Merseyside consists of 100 cast-iron, life-size figures spread out along three kilometres of the foreshore, stretching almost one kilometre out to sea. 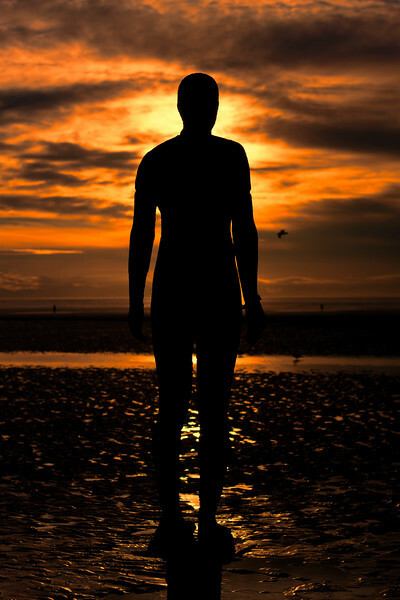 The statues are based on the body of the sculptor, Anthony Gormley. 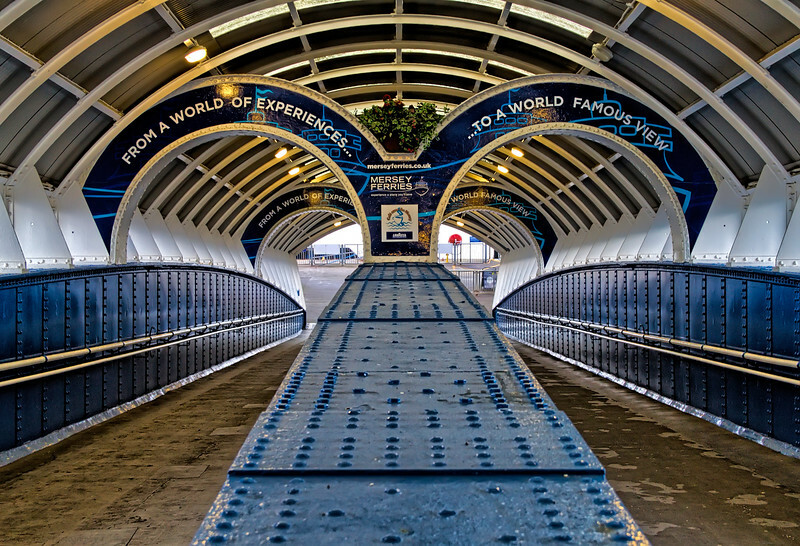 Walkway at Seacombe Ferry Terminal leading down to the landing stage for the Mersey Ferries. Liverpool skyline from the Wirral side looking over the River Mersey. 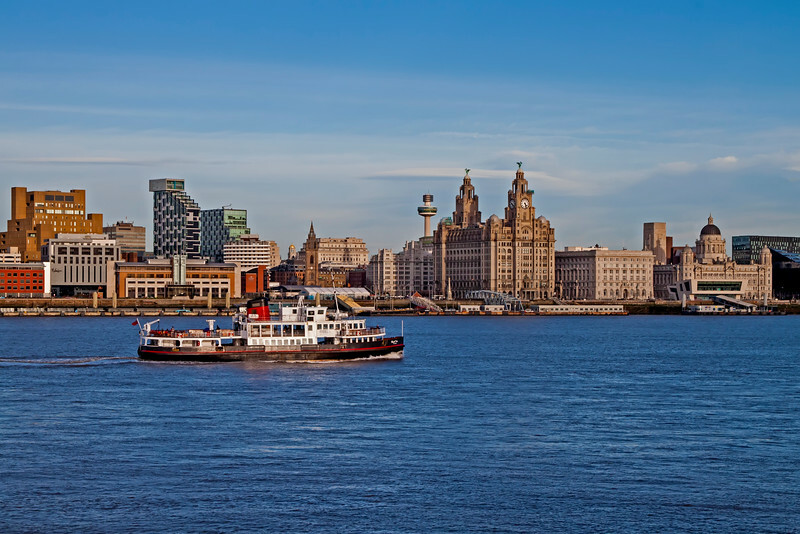 You can see the 3 Graces; Liver Buildings, Cunard Building and the Port of Liverpool Building; Radio City Tower, Anglican Cathedral, Liverpool Museum and a number of the Hotels. The Royal Iris making her way across the Mersey to the Pier Head. 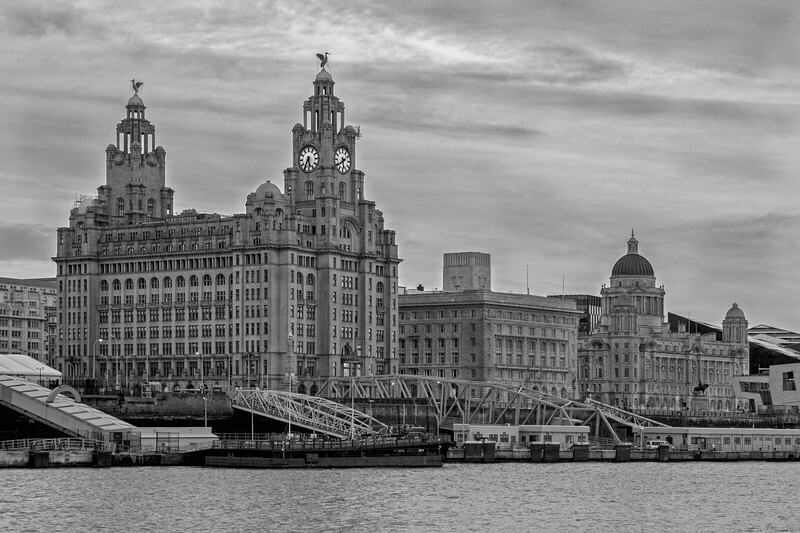 You can see the 3 Graces; Liver Buildings, Cunard Building and the Port of Liverpool Building; Radio City Tower, Liverpool Museum and a number of the Hotels. 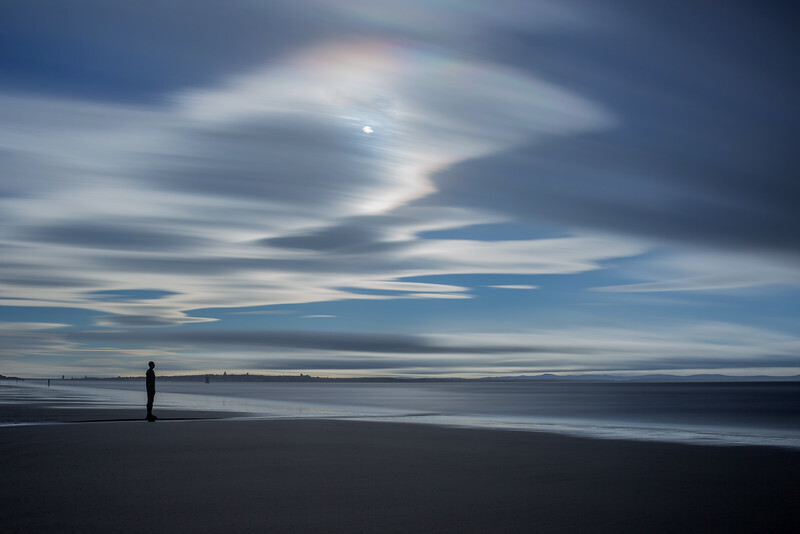 Another Place at Crosby consists of 100 cast-iron, life-size figures spread out along three kilometres of the foreshore, stretching almost one kilometre out to sea. 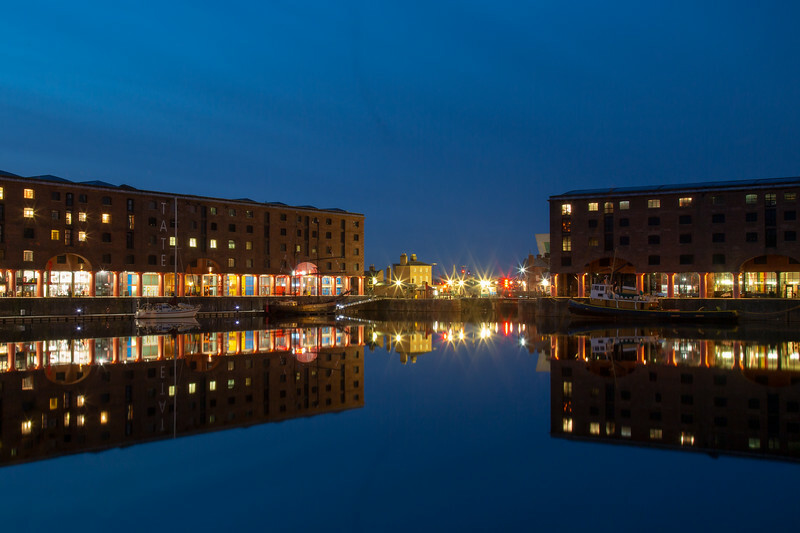 The Albert Dock at night reflected in calm waters. The Albert Dock is a complex of dock buildings and warehouses in Liverpool that open in 1846. 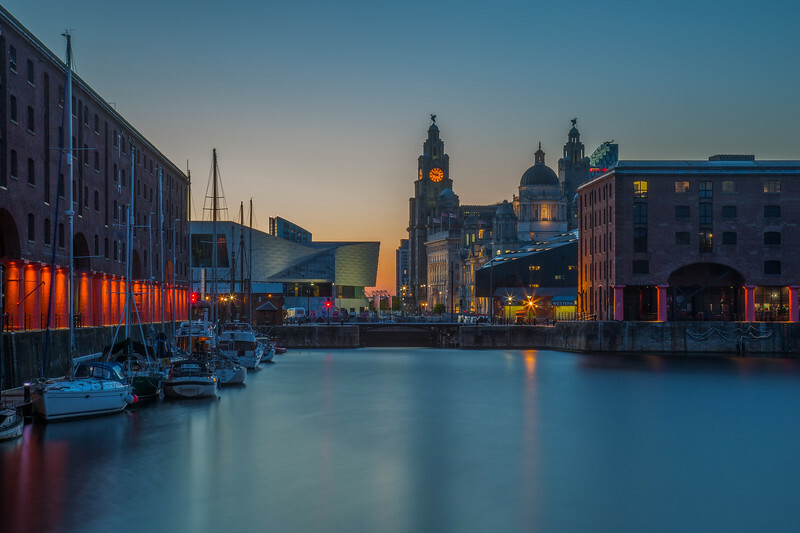 The Albert Dock is a major tourist attraction in Liverpool. 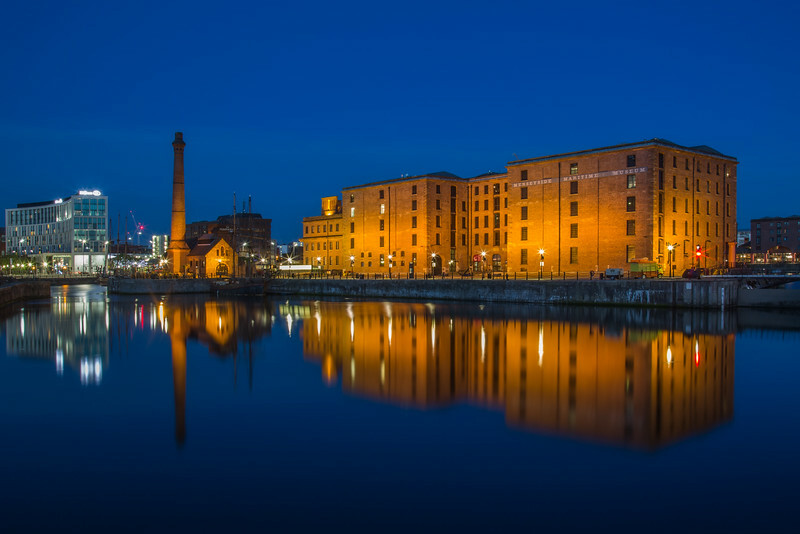 The Albert Dock is a complex of dock buildings and warehouses in Liverpool that open in 1846. 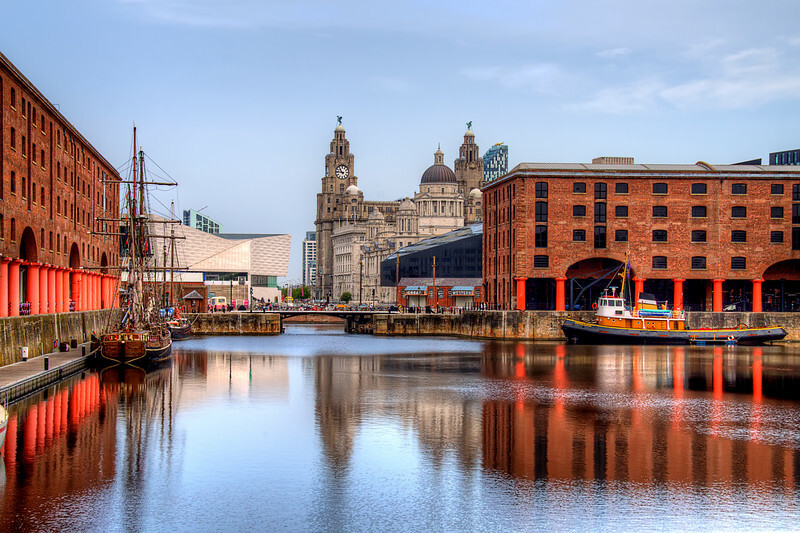 The Albert Dock is a major tourist attraction in Liverpool. 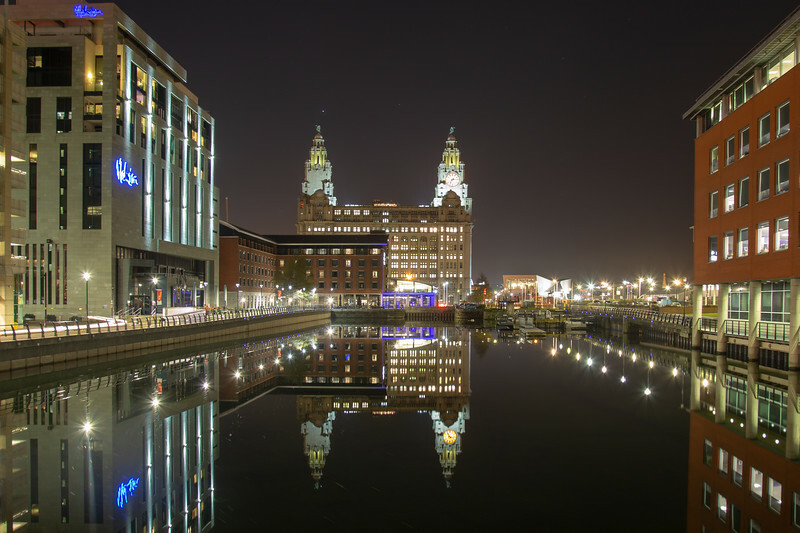 The Liver Buildings, Hotel Malmaison and the Crowne Plaza Hotel reflected in calm waters of the Liverpool dock system.